Innovative interior housing design produces higher CFM with reduced noise levels. Vertically stackable for convenient storage. 30' power cord extends access to hard-to-reach areas. Non-marking foot bumpers ensure stability during use. 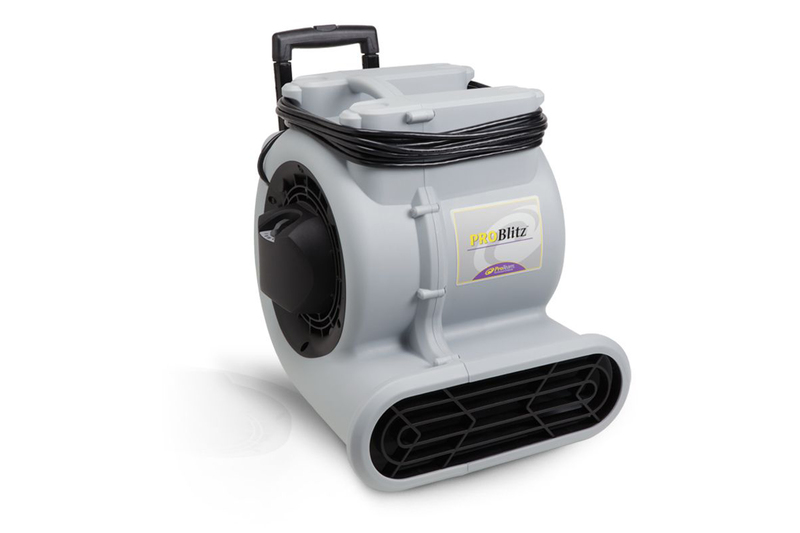 Powerful 2200 CFM dries carpets and subfloors quickly and completely. Efficient motor technology results in low amp draw without sacrificing air flow.